Do you love and support the high quality, affordable products that Kodiak provides? Or how about the high values that Kodiak stands for? If you love Kodiak as much as we do, here's an offer you can't turn down: the Gilman Ultra Cotton Kodiak T-shirt. The shirt sports the Kodiak logo and is a great shirt to bring and wear on your camping trips, outdoor adventures, or just whenever you want to! The shirt is made from 100 % preshrunk cotton (no worries about it shrinking in the wash). And like all of Kodiak products, the shirt is made of sturdy heavyweight material that you've grown to expect from Kodiak. The shirt is double-needle stitched for durability preventing it from falling apart. To top it all off, the shirt is incredibly comfortable, and it gets softer with every wash, so the longer you have it the more comfortable it gets! These shirts generally ship out quickly and only take 2-3 days to arrive! Currently priced at an incredible deal, buy now so you can put on this amazing shirt as soon as possible! 6.1 oz. 100% preshrunk cotton. Feels great. Gets softer with every wash.
Love kodiak, love the brand, love the shirt - totally known by my friends and family as a great quality product - happy to support that brand. 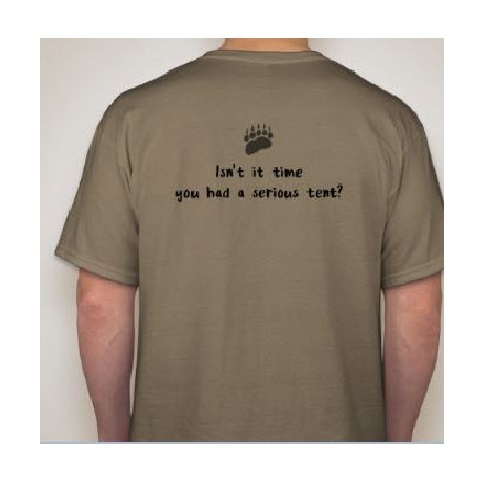 Quality Shirt to Represent a quality tent. And great dealing with Competitive Edge again. I bought 2XL and I normally get XL but the 2XL fits perfect. 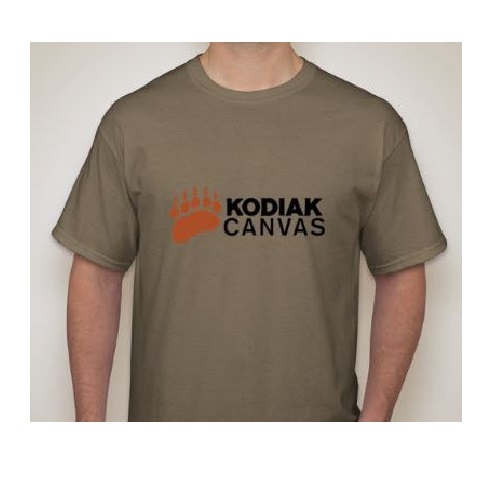 Its a nice shirt I like the color and the Kodiak logo. Q: Is this still available in 4x? Thank you ... Love my Kodiak! A: Yes, it is currently available. It is the last option in the drop down menu. Q: What is the lead time on this item? A: These ship USPS Priority which takes between 1-3 days to arrive.